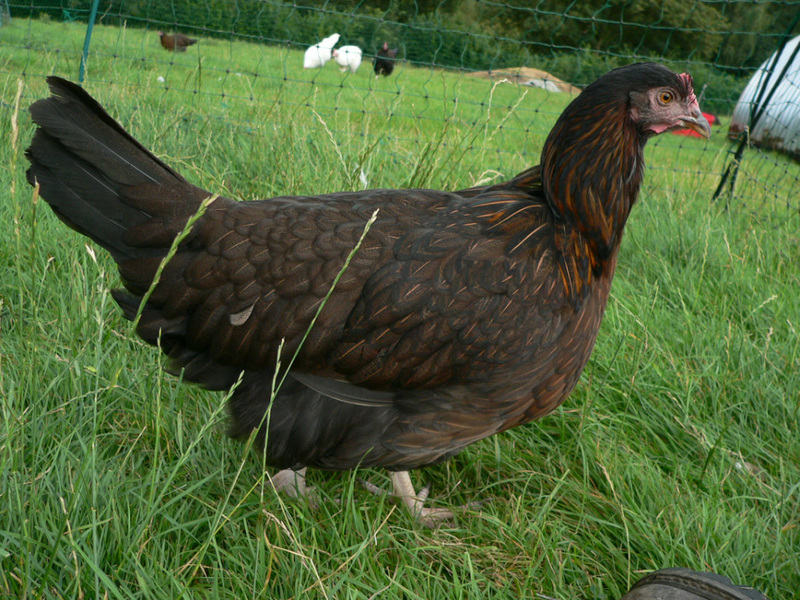 The Dorking is possibly our oldest breed of utility farm fowl and one of the rarest breeds that we have in the UK today. My own conservation work is focused on the two most ancient varieties of the Dorking breed; the Red Dorking and the White Dorking, believed to be descended from birds that were kept for their excellent table qualities, as far back as the first century. Despite their great antiquity and historical significance, these two varieties have been out of favour amongst British poultry enthusiasts for many decades and consequently they are extremely rare. That they still exist today is thanks to a handful of dedicated breeders, who have sought to conserve these important representatives of our farming heritage. In the following pages I have included information that I hope will be interesting to anyone wishing to know more about these beautiful birds. They certainly are in need of greater support, most especially from that very rare type of poultry breeder, who is willing to focus their efforts on just one or two breeds or varieties and to do them well. The establishment of flocks of notable quality depends upon the careful selection of suitable birds from each year's crop of youngsters. Principally this is in order to maintain a good degree of conformity to the Dorking Breed Standard, whilst remaining mindful of the original purpose of the Dorking, to be one of the world's finest table birds. 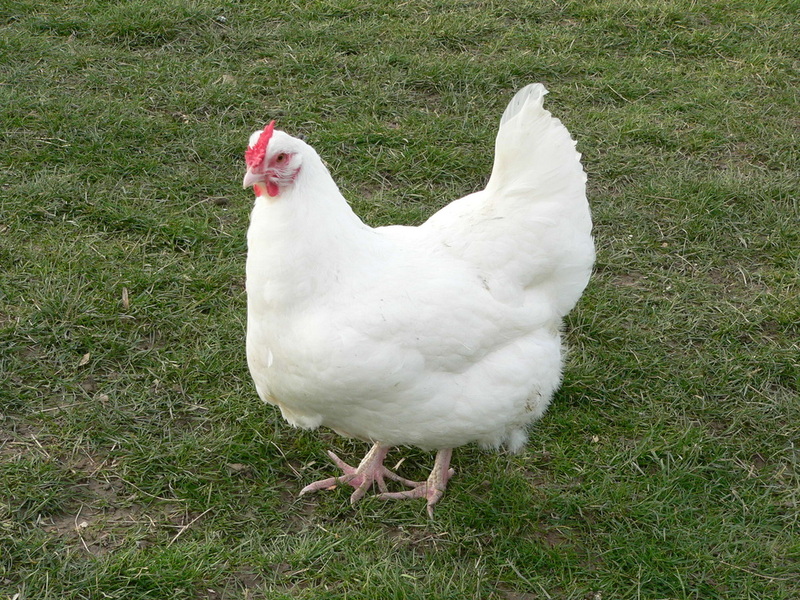 White Dorking may possibly be the UK's rarest native breed of domestic fowl. They have the merits of being both fine table birds and excellent broodies and mothers. They are certainly a challenging variety to breed to the standard, particularly when trying to achieve a bright white plumage free from rustiness and coloured feathers. Fortunately they are hardy and productive birds, enabling one to hatch plenty of young from which to select pure white individuals for breeding. 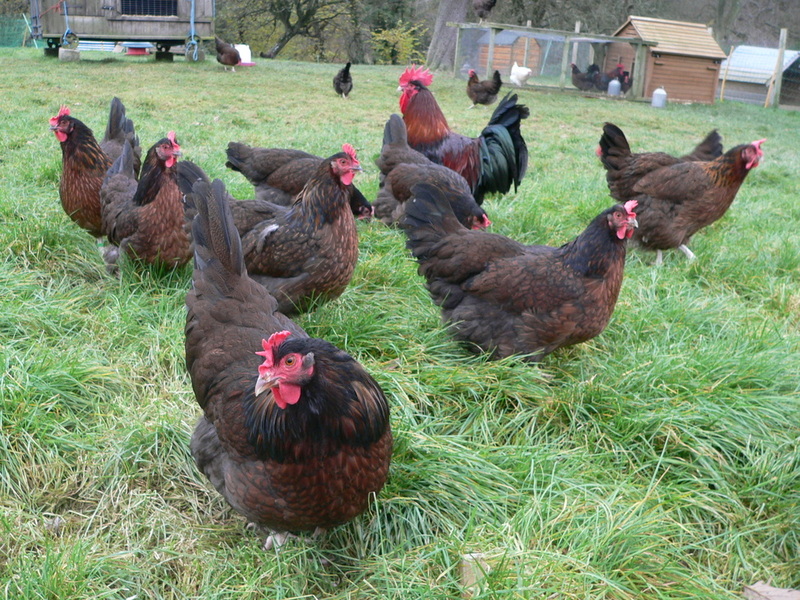 Early hatching is advisable, as they invariably want to sit once the weather begins to warm later in the Spring. Whilst the red Dorking most closely resembles the description of the five-toed birds written about during the Roman occupation of much of Britain, the White Dorking is believed to be the original variety to take the Dorking name. They were important table fowl on farms in the 18th Century. The establishment of the Poultry Fancy saw their popularity diminish as focus shifted to the new, more elaborately patterned varieties. Several Victorian authors suggest that the whites were a distinct race, differing in type to the much bulkier Dark and Silver-Grey varieties, developed by fanciers for exhibition. Today all Dorking varieties are required to conform to a single standard for type and size. Whilst it is interesting to note how the varieties differed pre-standardisation, it is of little consequence today, now that we have a commonly agreed type to work towards. Despite it's attractive appearance, the White Dorking was never a very popular bird amongst exhibitors. Their greatest strength lies in their excellence as producers of fine quality table birds, a characteristic that few pure-breeds still possess. The maintenance and development of their table qualities is very important to best ensure their appeal to those interest in the production of fine food at home. 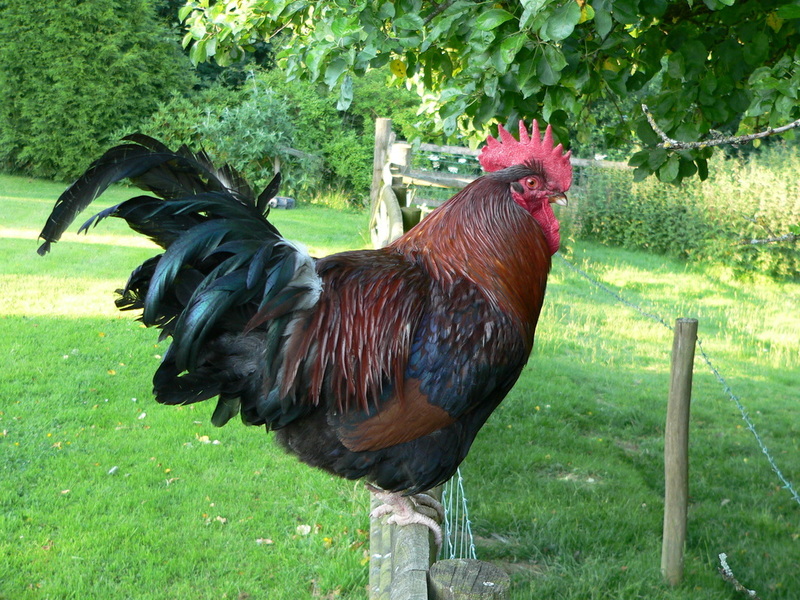 Red Dorking are perhaps the oldest and sadly, now one of the rarest member of the Dorking race of fowl. We have been working with our strain of reds for many years, with the aim of bringing them up to the exhibition standard of the Darks and Silver-Greys, whilst still maintaining their superb table qualities and fecundity. A hardy variety, our reds remain out on range all year where they remain fit, energetic and productive. Both of the Dorking varieties that we keep are friendly and inquisitive birds, which really does add to the enjoyment in keeping them. 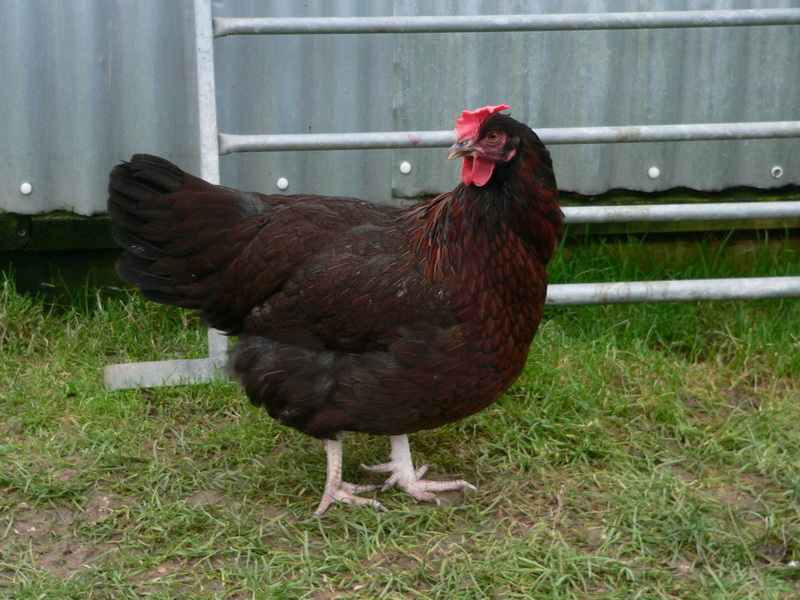 The Red Dorking is an excellent smallholder's fowl and it is surprising that they are not more popular. An excellent table bird, they are also surprisingly good layers maintaining a steady rate of egg production for several years. 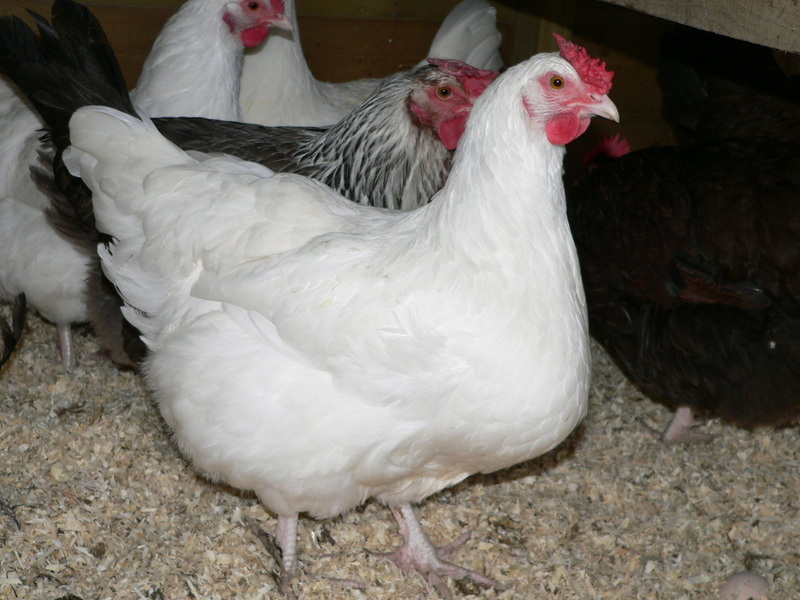 This is not an easy variety to breed for the show pen and therefore like their white cousins, it is their qualities as a fine quality table bird that may better ensure their future survival. There is a growing interest in rearing meat birds at home, however at present the Dorking is being somewhat overlooked for this role in the UK. Hopefully in time, quality will become the priority over size and the Dorking will once again be a celebrated addition to the dining table. Red Dorking pullet hatched April 2014. 2014 cockerels at 6 months old. The Shakespeare Birthplace Trust keeps a flock of red Dorkings at one of it's historical houses as part of a living history exhibit depicting a scene from Tudor England. That birds still exist that are almost identical to those that wandered around 16th Century farmyards is really rather wonderful. The Dorking certainly has a valuable and engaging role to play in educating people about our farming history, however the Dorking are much more than 'living antiquities' reminding us of bygone days, rather they have much to offer today's poultry keepers. The diversity of shapes and sizes that are possible in poultry are vast and not all of these forms make for a useful fowl. Over the centuries many breeds have been created and lost as better breeds have come along, however the Dorking with it's characteristic shape and carriage has endured thanks to it's ability to produce excellent table birds under traditional free-range management. This is something worth conserving, not simply for nostalgic reasons, but because these qualities may prove invaluable in the future as modern agriculture develops. The Dorking was created to provide fine table birds; long keels to carry abundant muscle, short and strong legs to carry their heavy weight and large wings to necessitate large breast muscles. They lay well in the early months of the year when chicks for fattening are required, they can successfully hatch and rear their own chicks when called upon to do so, forage for much of their own food and do all this whilst remaining calm and amiable with their keepers. Breeds like this do not simply happen, they must be created, maintained and improved with dedication and time. The Dorking has a long association with the exhibition poultry fancy and was present at the very first shows in the mid 19th Century. There seems to be little doubt that the fancy has led to some changes in the breed and today's exhibition Dorking is perhaps more densely feathered than it's farmyard ancestors. That the Dorking still exists today is thanks to a large extent, to the men and women who have sought to create the best examples for exhibition and in so doing they have maintained a breed 'type' comparable with the very best table birds. This form of conservation may have it's drawbacks from a utility standpoint, but it provides us with a good opportunity from which to expand our selection criteria to include utilitarian attributes. As an artificial mutation of a wild species, a domestic breed is constantly subject to change with each generation and the skill of the breeder is in their ability to manage these generational variations, to achieve a commonly agreed size, shape, temperament and colour pattern. In addition to these characteristics detailed in the Breed Standard, the diversity found in each generation may be utilised by using selection to improve early muscle development and distribution together with fecundity, in order to expand on those attributes maintained by exhibition breeders over the years. Historical literature suggests that the red and the white varieties have never been particularly popular exhibition birds. In fact, the creation of the poultry fancy may have attributed to the demise of these once popular farm fowl. Large size was regarded as the most important attribute in the Dorking and these old varieties could not compete with the massive dark and later, silver grey varieties; something that is probably also true today. It is true that the Dorking is rarely kept as a utility fowl today, although their breeders greatly appreciate the culinary benefits of their surplus cockerels. I have found that whilst there can be some variation in utilitarian qualities between strains, with careful selection the table qualities of most can be improved in just a few generations. That the potential for productivity still exists in the breed is evident, but how much longer this will remain true will very much depend upon there being enough breeders willing to dedicate time and effort to their maintenance and improvement. Now more than ever, the Dorking and in particular its less populous varieties, is in need of new breeders to focus on the conservation of the valuable genetic resource that still exists. The future of all of our large fowl is becoming precarious. The costs involved in accommodating and feeding large birds has resulted in a significant shift to keeping bantams and miniature fowl. Increasingly fewer fanciers are able to hatch and rear large fowl in sufficient numbers to allow selection of the best individuals. I believe that in maintaining the practical qualities of breeds like the Red Dorking, it will provide their breeders with the ability to recoup the costs of rearing young birds through the sale of surplus females as point-of-lay pullets and the cockerels can be fattened for the table. Maintaining these qualities also goes hand-in-hand with vigour, which makes life easier for the breeder by reducing the costs of losses and the medicating of vulnerable stock. Young hens at the end of their first Winter. The Red Dorking; the finest table bird.